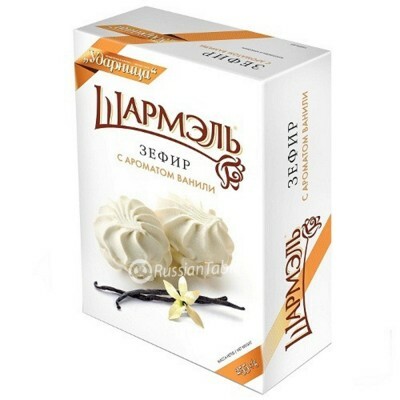 Marshmallow (Zephir) "Charmelle" Vanilla Taste buy for 4.5900 in store RussianTable with delivery. 255 g. sugar,powder sugar, syrup, apple purre, agar gum, powdered apple, wgg whites. Do you have any questions about Marshmallow (Zephir) "Charmelle" Vanilla Taste?